Colorado Springs is home to a number of diverse neighborhoods that require an expertise in various types of siding methods and choices. At Scottish Home Improvements, our Colorado Springs siding replacement experts can offer you the widest array of choices and the best qualified installers in the state, ensuring that you get the highest quality and longest-lasting siding possible for your property. Throughout the city, you’ll find that many developments are perfect candidates for James Hardie® siding. Scottish Home Improvements has a range of James Hardie siding to choose from, which we’ve outlined below. Fiber cement James Hardie® siding shields Colorado Springs homes from the hail, wind, rain, and snow conditions that are so prevalent in our area. We suggest James Hardie fiber cement siding for homes where weather concerns, fire, or pests may be an issue. Additionally, James Hardie fiber cement siding products come with an excellent warranty. Stucco-styled VerticalPanel James Hardie siding enhances Colorado Springs homes using fiber cement, an especially good choice for many of the more traditional homes built in western Colorado Springs and Manitou Springs. Whether we’re working with traditional stucco siding methods or James Hardie® Panels, we can match your home’s stucco look and feel for siding that you’ll love. In the older parts of Colorado Springs, wood siding, stucco siding, James Hardie® fiber cement, and Artisan® siding are great choices. We match James Hardie siding to Colorado Springs homes with styles and textures from older wooden frames that have been built in for over 100 years. James Hardie® Artisan® siding complements Colorado Springs houses as a beautiful alternative to wood for some of the older homes in the city. Artisan® siding has more traditional lines that, with a little extra effort, allow our siding installers to retain and preserve the intricate detail work that makes older homes so magnificent, while at the same covering your home in beautiful and durable James Hardie® siding. Colorado Springs neighborhoods close to the Garden of the Gods and around the Broadmoor Hotel could be the ideal candidates for the look and feel of this Artisan® product. The siding options for Colorado Springs-area residential and commercial properties are numerous, so we’ve broken down a few of the many kinds you can choose from below in detail! Our extensive selection of wood and cedar siding supplies property owners with a perfect siding option for their Colorado Springs home or business. We source our wood siding products locally to ensure the highest quality and most diverse collection available for your property. Cedar siding is a timeless option that provides natural moisture and insect repellant. 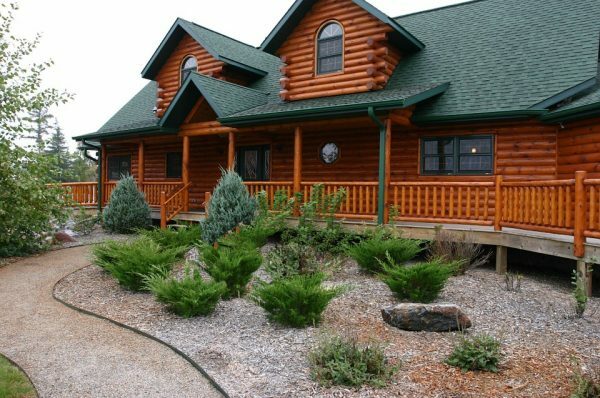 When you browse through our selection of cedar and wood siding, we guarantee that we have the wood species you’re look for. Vinyl siding is one of the most budget-friendly siding types available on the market. We like to recommend vinyl to our customers as one of the siding options for Colorado Springs homes that are valued under $250,000. Vinyl siding offers a balance of durability and aesthetics, alongside low maintenance needs. Additionally, vinyl siding is available in virtually any color, giving Colorado Springs homeowners the opportunity to open up the creative direction of their property’s appearance. We highly recommend steel siding options for Colorado Springs commercial properties due to the high-performing impact resistance and low maintenance requirements associated with this type of siding. Recently, steel siding has become a more popular choice for Colorado Springs homes. Alside offers businesses a range of gorgeous aesthetics that imitate authentic wood grain texture. Property owners looking for siding options in Colorado Springs that will provide premium protection against our state’s harsh weather will find that steel siding is an excellent choice for their needs. Stone siding is another beautiful choice for Colorado Springs home. Stone siding and accents are reminiscent of the natural beauty of river beds and mountain lakes and blend in perfectly into Colorado Springs’ forest environment. We partner with Sunset Stone to bring Colorado Springs homeowners the highest quality stone siding on the market. For those times when your needs or budget calls for siding repair on your Colorado Springs property rather than siding replacement, Scottish Home Improvements is the siding repair installer to call. Scottish Home Improvements is the leading provider of residential and commercial siding repair in Colorado Springs and beyond. We welcome siding projects of any size and are happy to fully utilize our experienced siding experts to ensure a successful siding repair for your Colorado Springs business or home. Our extensive siding inventory guarantees that we can find the right match to your original siding for a seamless appearance and spectacular aesthetic that simultaneously restores protection to your property even as it beautifies it. One of the many advantages that Scottish Home Improvements has over other siding installers in the Colorado Springs area is our local vast knowledge. Many of our employees were born and raised in Colorado Springs and have seen the stylistic changes in local architecture and homes that have taken place over the years. Furthermore, we also understand the unique nature of living in Colorado Springs, with a good portion of our residents being employed by the military and likely to be transferred or put into a position where they may need to sell a home which we have helped them remodel. As a result, we approach each of our Colorado Springs siding repairs and replacements with the mindset of giving the best possible advice in terms of helping to improve the resale value after our work is completed. At Scottish Home Improvements, we install more fiber cement siding than any other Colorado Springs based company. Our local approach and commitment to offering more long-term investment value for our clients’ money has allowed us to serve our clients well over the years we’ve been in business. We offer free in-home consultations 6 days a week and look forward to serving your needs. Colorado Siding is a resource produced by Scottish Home Improvements to discuss the siding choices of cities and towns across Colorado. Call us today for your FREE consultation.